Antique shops have the opportunity to do something very special. Once walking inside, a shopper takes a step back in time, seeing vintage finds in a new light. The concept behind making something old new again has been able to help generations bond and keep history alive. 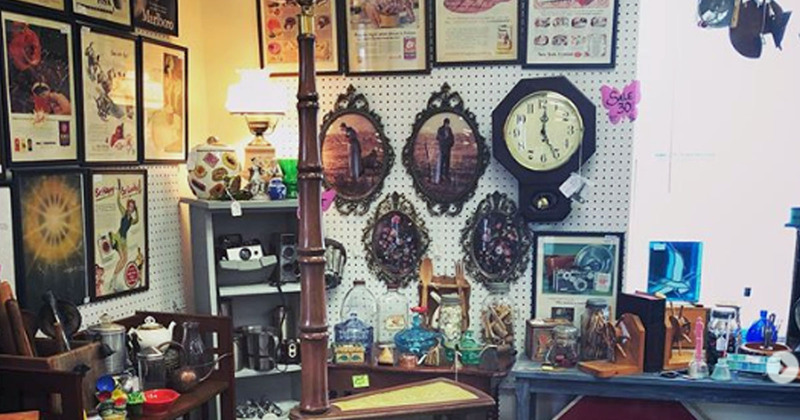 Take a walk back in time at Antique Allure in Southampton, PA. There are many reasons for people to collect antiques or to become an antique collector. In addition, people have different views about owning antique collectibles. For example, my grandmother was a big collector of antique spoons and had them everywhere in her house. My grandmother became a collector of antique spoons because it reminded her of her mother’s collection when she was growing up. Here are several reasons why people enjoy collecting antiques. People can become a collector of antiques because the items hold sentimental value. For example, a woman holds on to a ring that’s given to her by a great grandmother or a table that’s been in the family for three generations. They become attached because of the family history and wouldn’t dream of getting rid of that item. Many people have started an antique business because they enjoy restoring antique pieces and selling them to people. It’s really not about the money for some collectors. Some people enjoy collecting items that center around their favorite game or comic book. For example, a 10-year-old boy could be a collector of comic books and can have comic books from all over the world. Some people experience a certain level of excitement when searching for a certain antique. Many collectors enjoy visiting stores or antique shops all over the country just to find something they have been hunting. Many people see antique collecting as a hobby and enjoy doing this in their free time. Also, the antique hobbyist doesn’t always buy antiques but like to window shop for antiques. Many people like to see what type of antiques is offered in different stores or countries. Some people buy antiques to decorate their home and like the antique feel. Antique pieces can decorate a home in a beautiful fashion. There are some people that buy and sell antiques as a business or hobby. Antique dealers should have a wealth of knowledge about different antiques. Antique dealers like to find deals on antiques and make a profit from selling the antique. Many people have their reasons for buying or collecting antiques. Also, collecting great antique pieces can provide someone with a wonderful experience and have an overwhelming appearance in the home. If you are interested in buying antiques then do the research and find an antique that works in your home. These tips should be helpful in answering why people enjoy buying antiques. Additionally, walking into an antique store is like stepping back in time, a reminder of what once was. We can’t ever forget our past because it is what leads us into our future. Enjoy shopping at Antique Allure today! Copyright © 1990 - 2019. All Rights Reserved. Cookies are little pieces of code that make pages load quicker or remember things like products in a shopping cart.